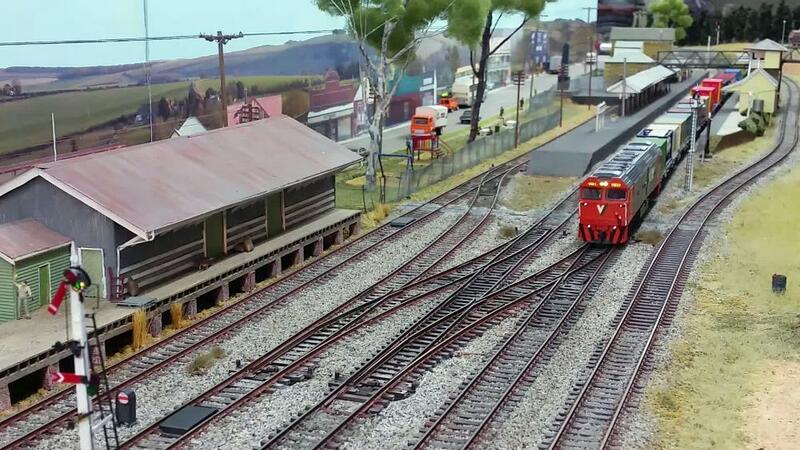 The AMRA Liverpool exhibition held over the October long weekend was the last public showing of our layout Wallerawang. The layout has been sold into private ownership and will be delivered to its new owner in early 2015. After the successful exhibition of Wallerawang at Liverpool we turned our attentions back to continue our work on Goulburn. V/Line G class diesel G523 has the honours of hauling one of the very last trains on Wallerawang at an exhibition. It is seen here on the head of a Down container freight. Goulburn's station module is still the main focus of our current work and will be for some time - there is a lot to do on this module. On the island platform the edges were checked for loading gauge clearance by running a scratchbuilt NR class loco on an Athearn chassis (the widest loco we have) past them. The clearance was generally pretty good but any tight spots were trimmed accordingly. Embossed brick styrene sheet was cut into strips for applying to the vertical faces of the platform. Strips were applied from the ground (ie plywood) level to the underside of the coping. Thin strips were then applied to the vertical edge of the coping, as the top 3 or 4 brick courses that form the coping protrude slightly past the rest of the platform face as per the prototype. The brick platform facings were then given a coat of paint in a pale dirty brown colour. They will need further touching up with paint and weathering powders. The main platform was built up to its correct height using sheets of foamcore board. Again the vertical platform facing was overlaid with strips of embossed brick styrene sheet. This is yet to be painted and still appears white in the photo below. The platform still needs to be trimmed to length and each end and the street side (at the front edge of the module) still needs to be modified to suit the actual local conditions, ie, adding in the dock platform at the country end and the kerb and gutter at the street side. As foamcore is quite soft and on this module it extends right to the front and public side of the module, we plan to top it all with sheets of 20 thou (20 thousandths of an inch or 0.508 millimetre) styrene for added resistance to the poking and prodding that it will inevitably get from the public. An overview pic of Station Module from the backdrop side (minus the backdrop of course). The components of the main platform building can be seen roughly laid out on the foamcore platform. An extra two sets of jumper cables are required for between the end modules and the storage yard modules, to span the track power for each storage yard track across the module joins. 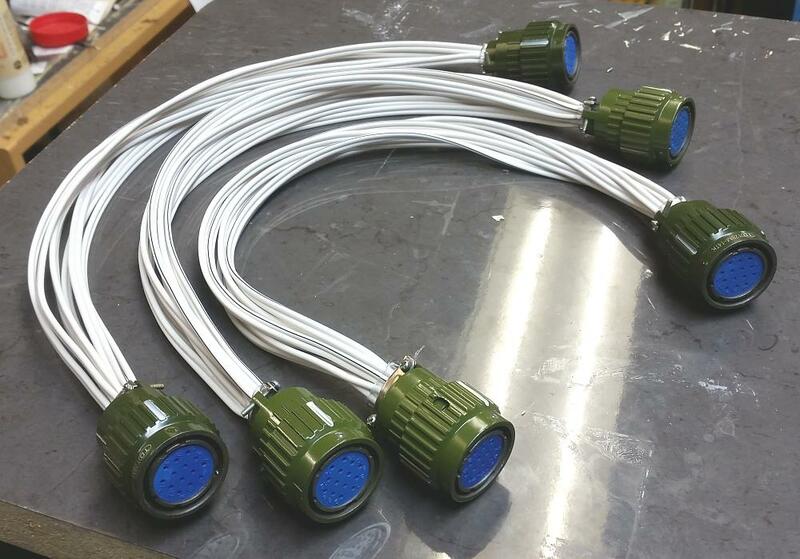 Three completed jumper cables laid out ready for testing. Short lengths of 13mm diameter clear vinyl tube are used as grommets. The matching male sockets can be seen in the June 2014 construction update.